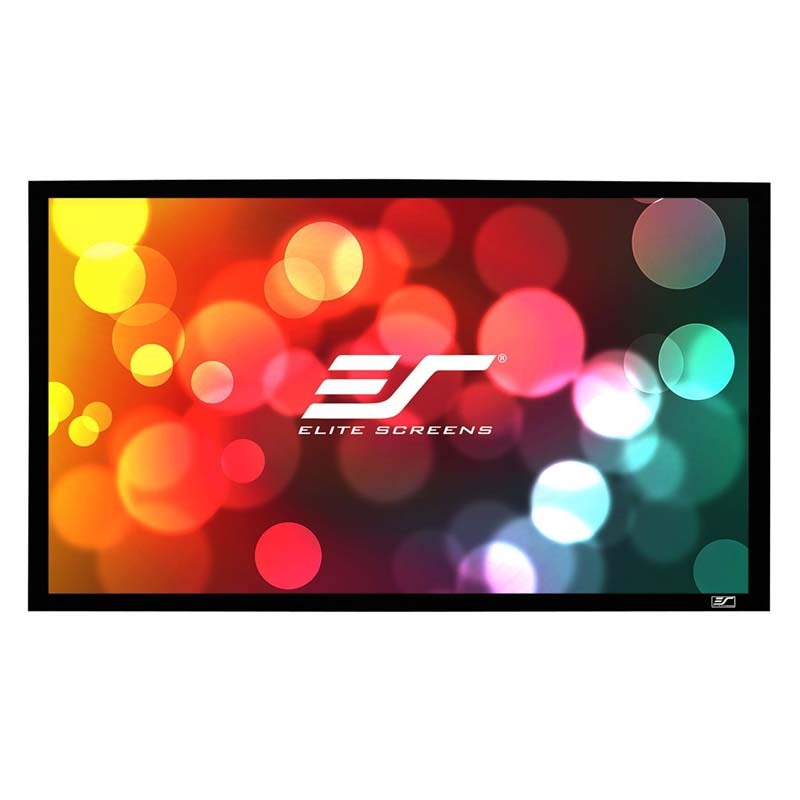 More on the Elite Screens Sable Frame 110 in. 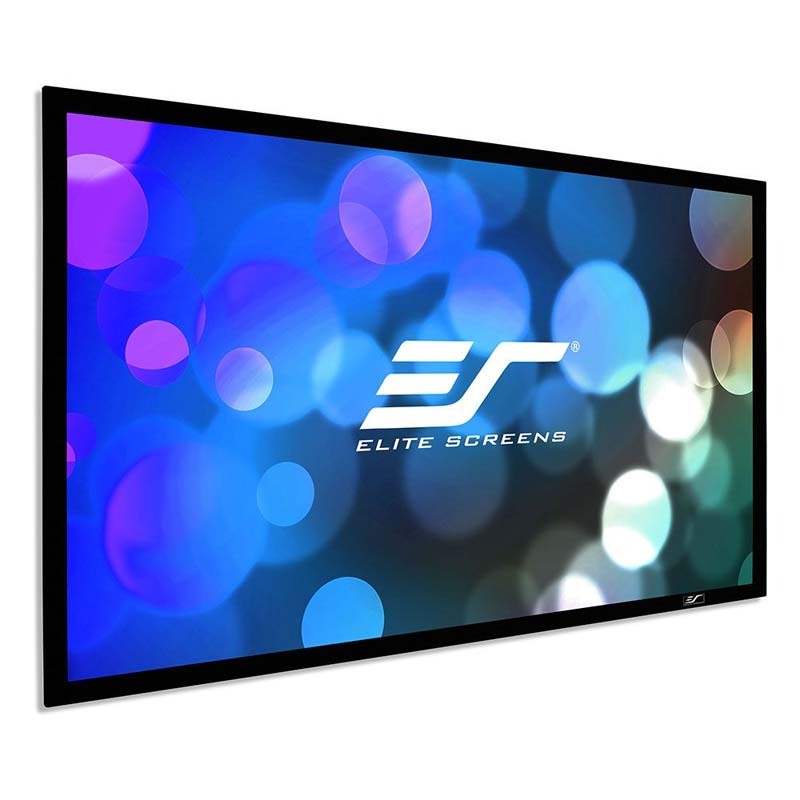 Projection Screen (CineGrey 3D) ER110DHD3 below. 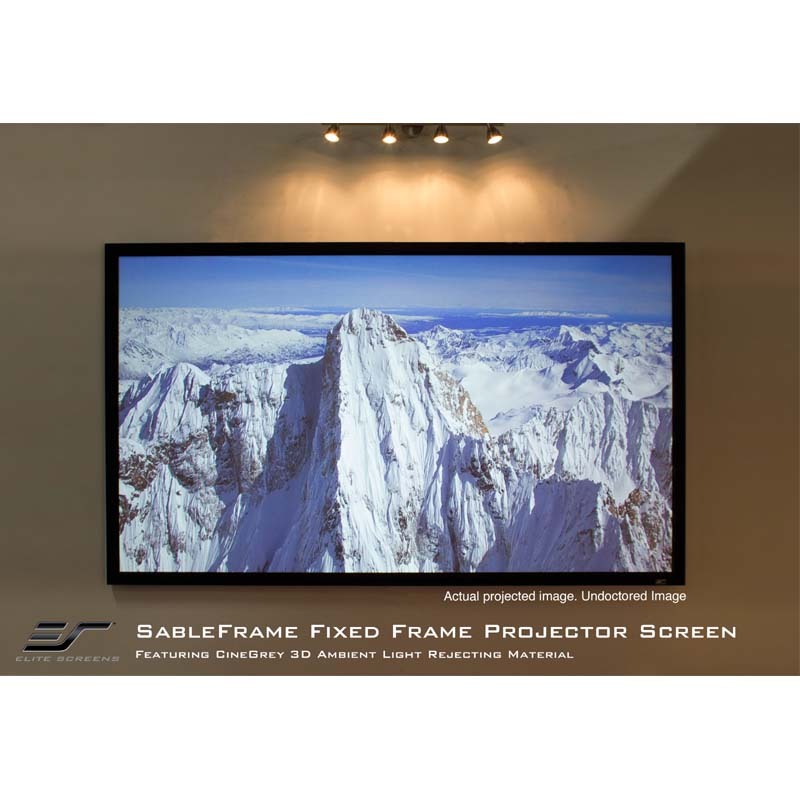 The Sable Frame Series features CineGrey 3D® material which is an angular reflective front projection material designed to reject ambient light while maintaining superb picture quality. 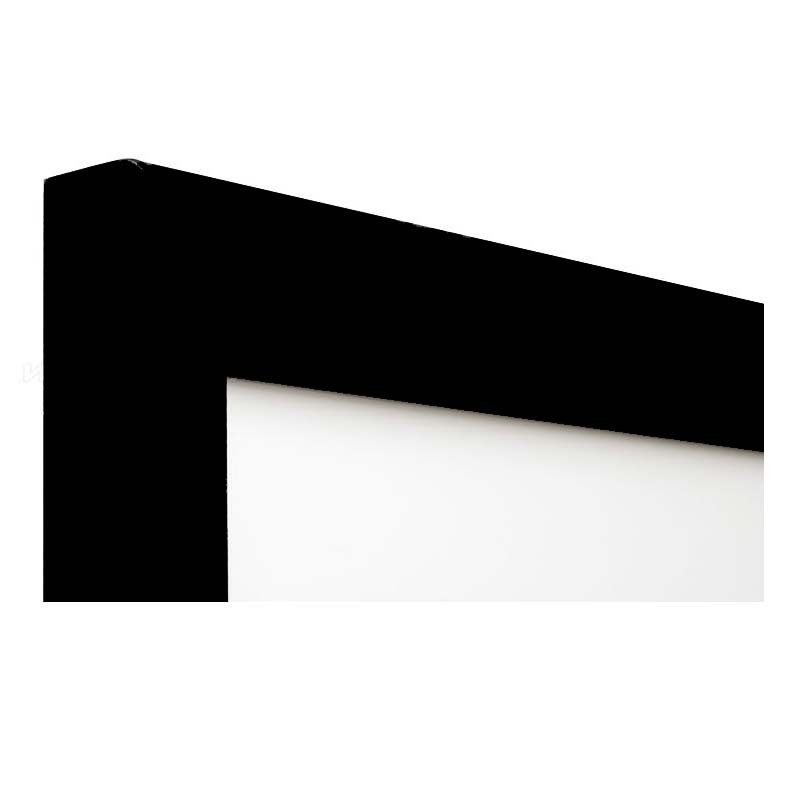 The CineGrey 3D® is the perfect solution for rooms that have little or no control over incidental light. This means that it's an ideal fit for family rooms as well as lecture halls, boardrooms, sports bars, training facilities, and other business environments. 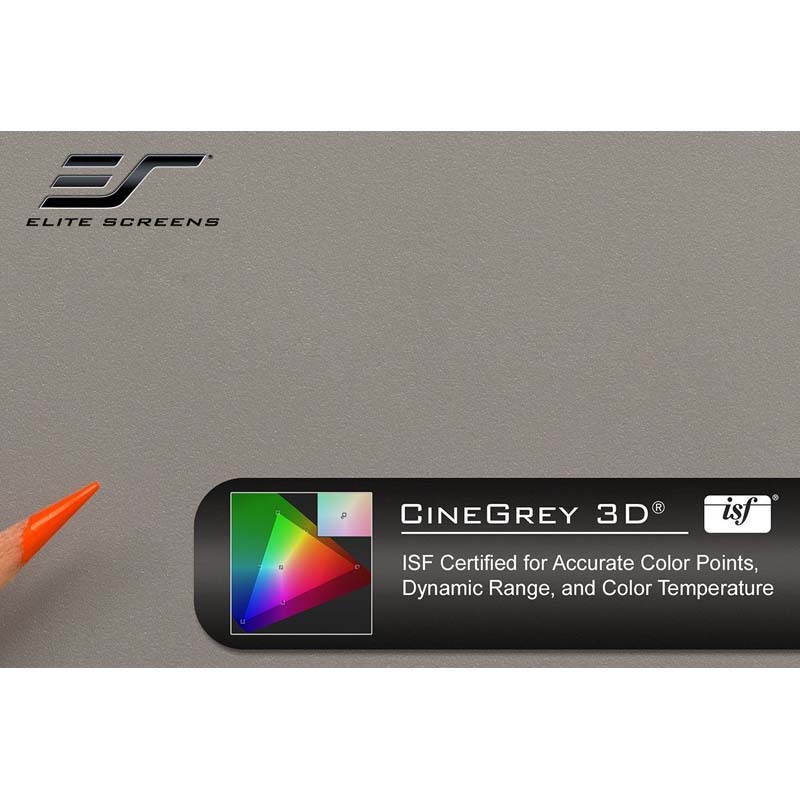 In addition, the CineGrey 3D® increases projector brightness 1.2 times the amount. 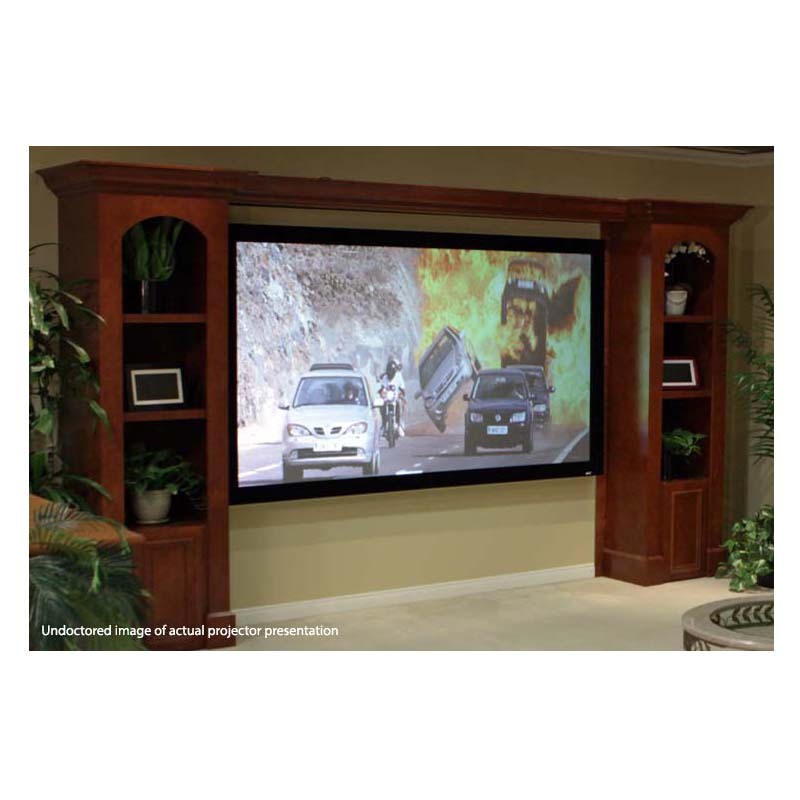 This is perfect for low lumens output projectors! 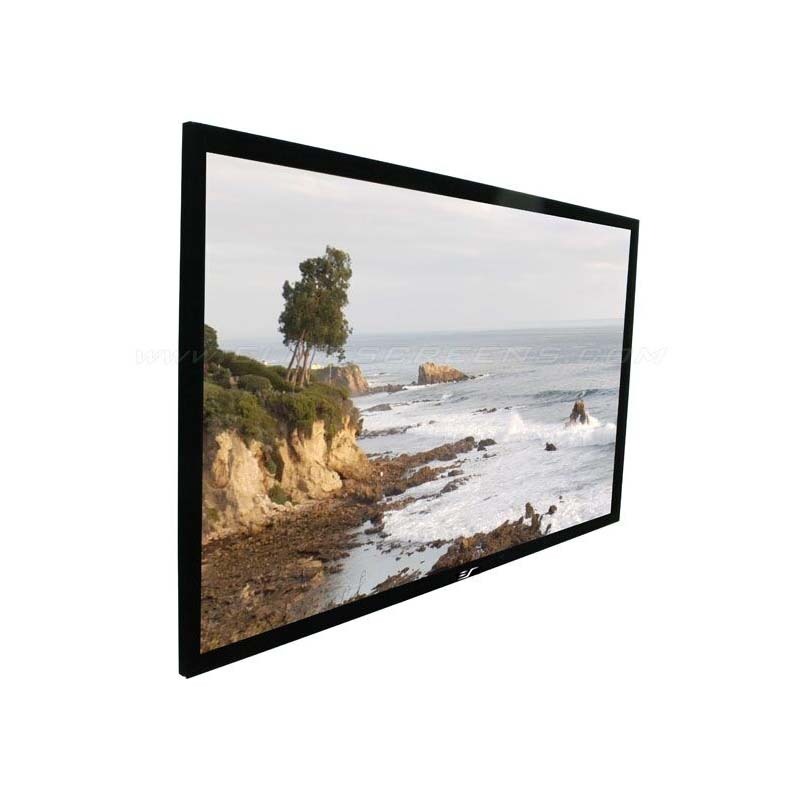 Available 16:9 format in the following diagonal sizes: 100 in, 110 in, 120 in, 135 in, and 150 inch. See related products below. The CineGrey 3D® is superior to traditional white or gray materials in its ability to maintain a sharp, bright image regardless of ambient light. The angular reflective material incorporates a diffusion layer over a highl reflective surface. 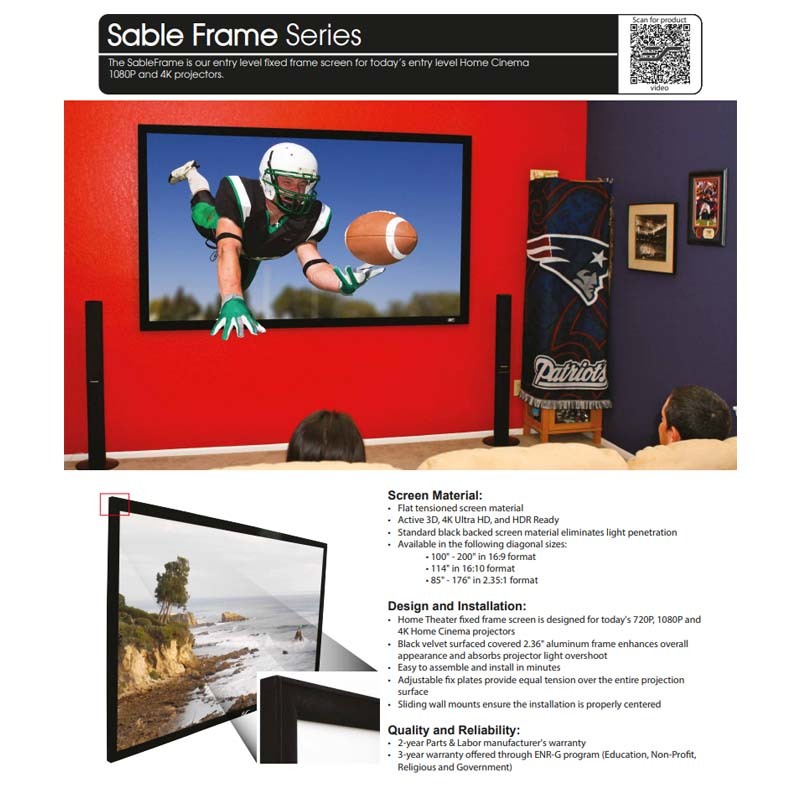 This causes direct light from the projector to reflect squarely into the viewer's field of vision while the outer contrast layer enhances image quality while absorbing indirect ambient light. 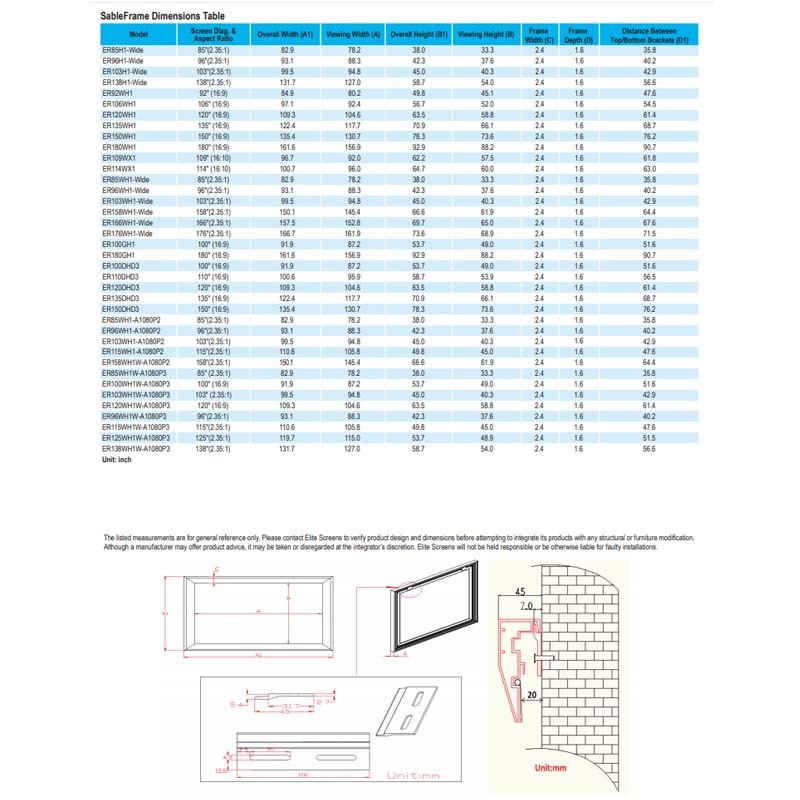 *See additional images above for detailed dimensions drawing.